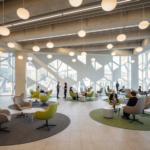 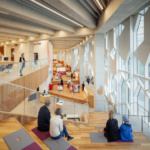 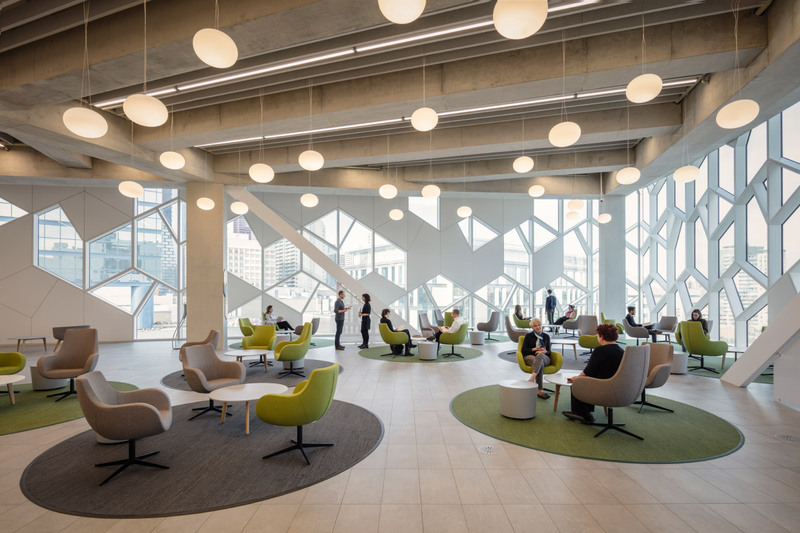 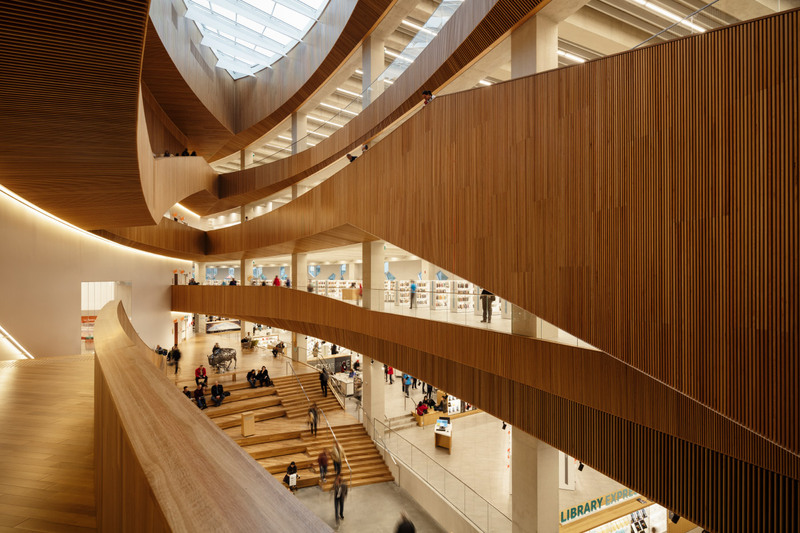 The new Calgary Central Library opened its doors to the public on November 1, a joint project between Snøhetta and Canadian studio DIALOG. 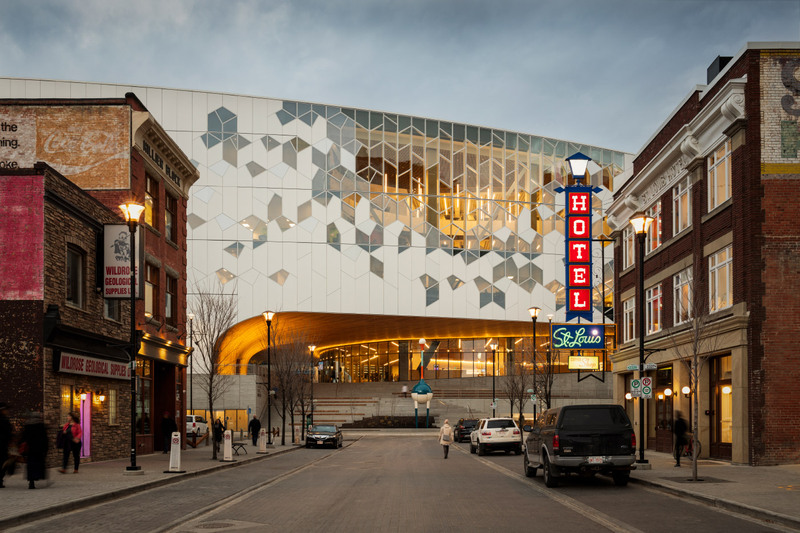 The crystallized, aluminum-and-fritted-glass facade of the building’s upper portion belies a warm wood interior, and the entire library rises over an active Light Rail Transit Line that runs from below ground and up to the street level. 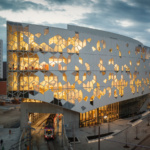 The six-story, 240,000-square-foot library is expected to welcome twice as many visitors as the previous Central Library, no small feat in a city where more than half of the 1.2 million residents have an active library card. 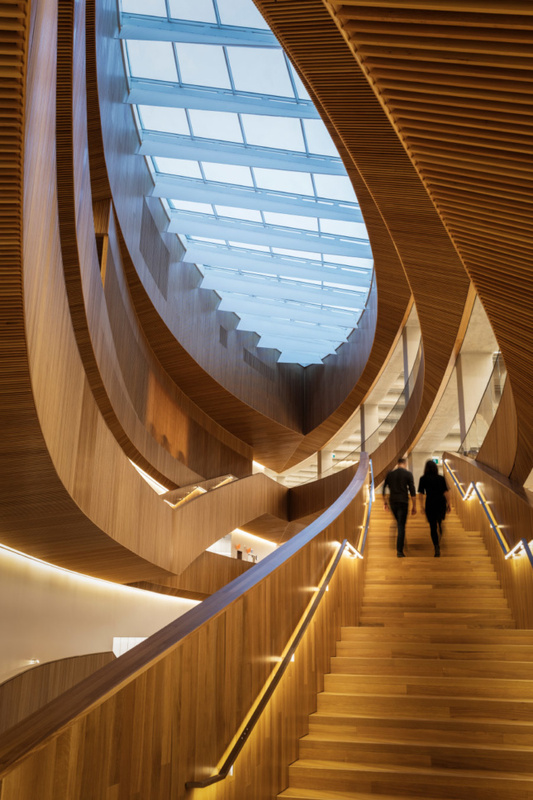 Patrons are welcomed by a massive wood archway at the entrance (made from western red cedar sourced from British Columbia, as with the rest of the wood in the building) shaped in reference to the region’s distinct Chinook arch cloud formations. 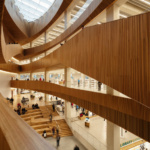 Inside, past the lobby and atrium, an 85-foot-tall gap was carved that runs all of the way up to an oculus in the roof. 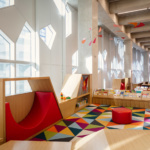 According to Snøhetta, each floor was organized on a scale of “fun to serious,” with the livelier programming, such as the Children’s Library, arranged at the bottom of the building, and quieter study areas at the top. 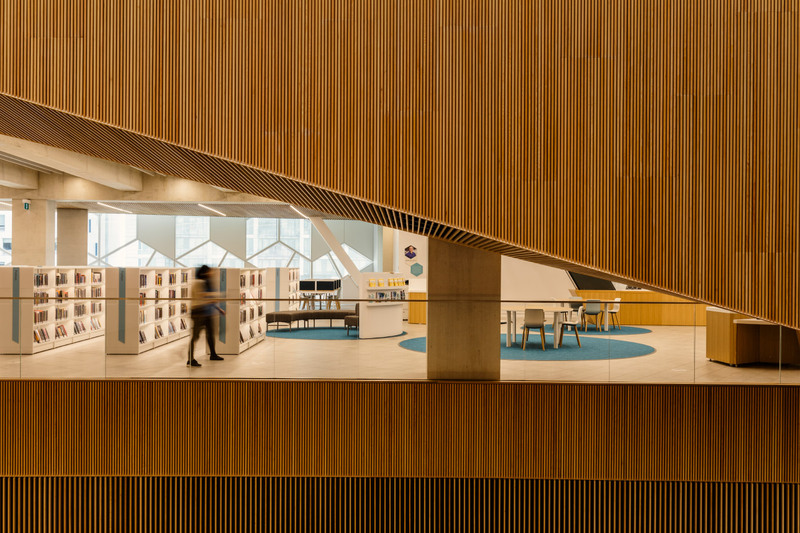 Visitors can ascend a sinuous central staircase below the oculus, and peer into the open floors and the stacks at each level. 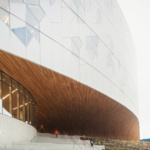 Vertically-striated wood slats were used to clad the edges at each section, extending and refining the woodwork seen in the entrance arch. 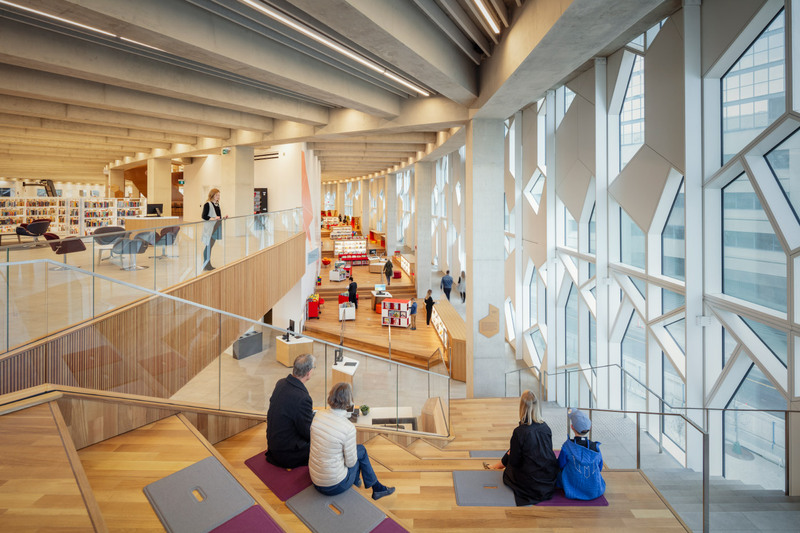 At the very top is the Grand Reading Room, which, although unenclosed like the rest of the library, is meant to be the most intimate space in the building. 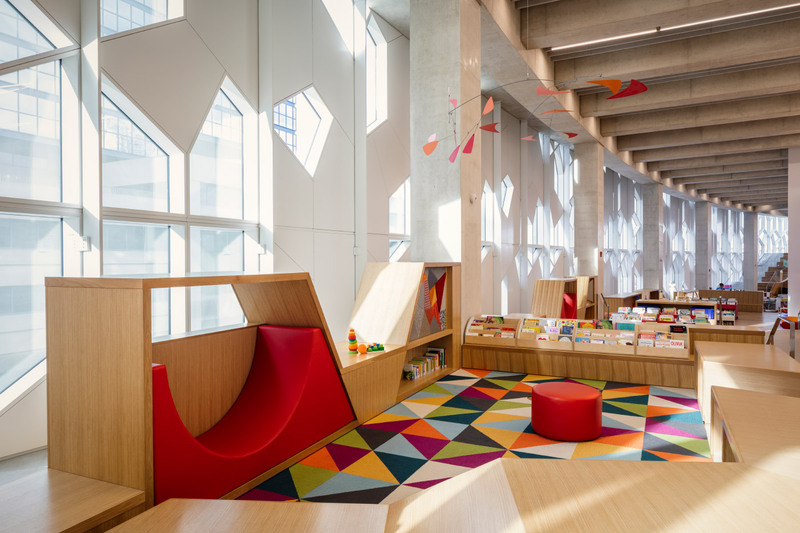 Although faced with a difficult site, the design team chose to accentuate the necessary train tunnel at the Central Library’s northern corner. 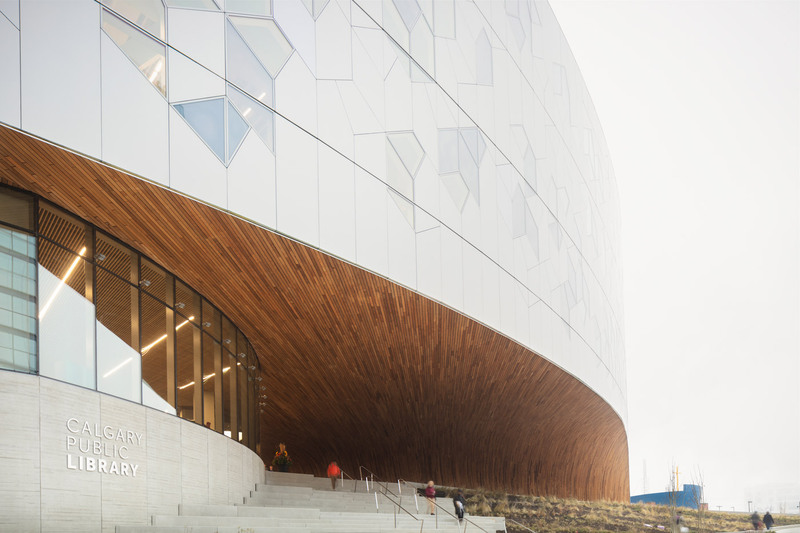 This is where the building’s curved sides join together to form a prominent “prow,” and where an inviting “living room” has been situated. 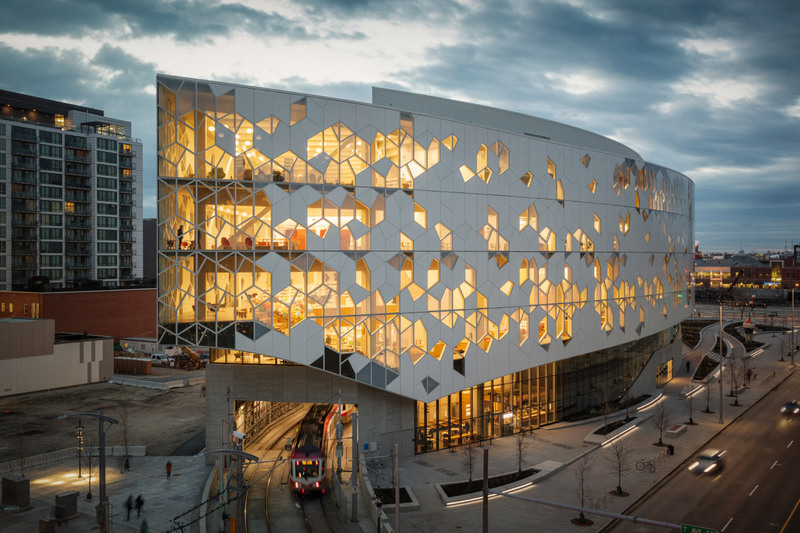 The facade is made up of scattered, rhombus and triangle-shaped panels and windows. 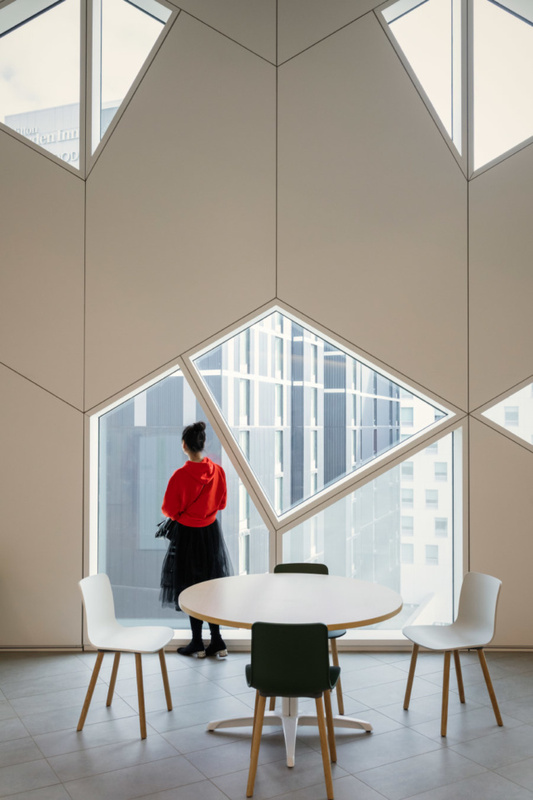 The density of the panels has been modulated depending on the level of privacy and sunlight required for each area, and openings carve out views for the spaces that look out over the city. 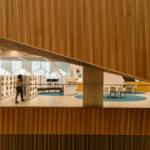 Those strategic cuts also allow curious pedestrians to look into the library, which Snøhetta hopes will entice community members inside.